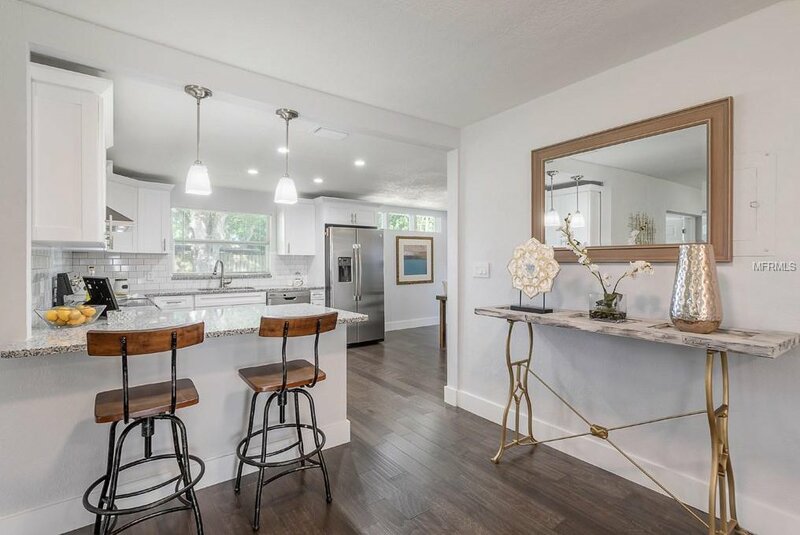 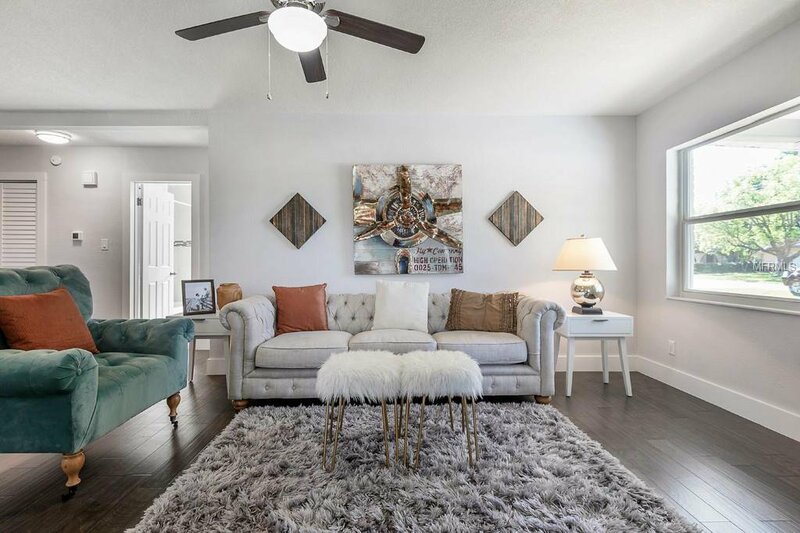 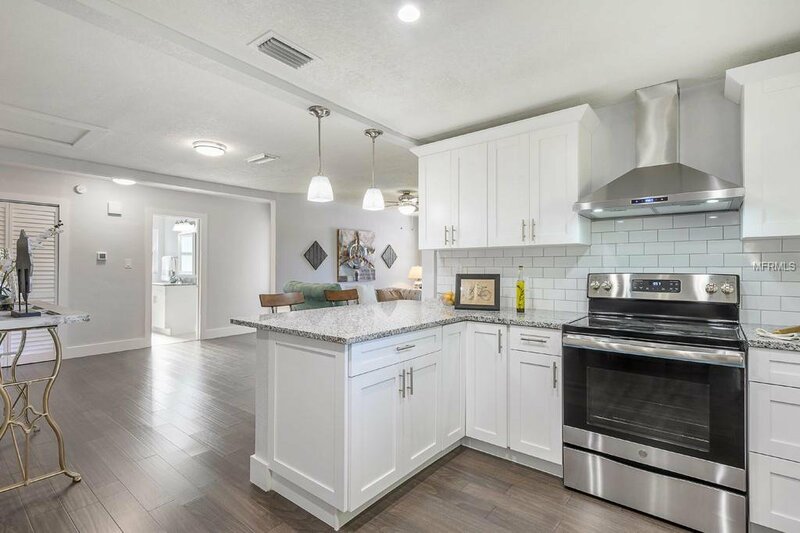 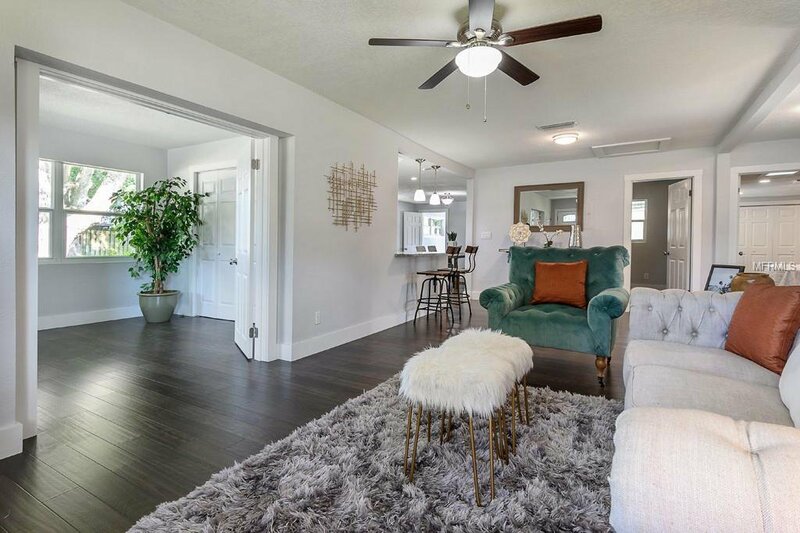 Traditional elegance is found in a stunning open floorplan home located in the coveted Plant High School district of South Tampa. 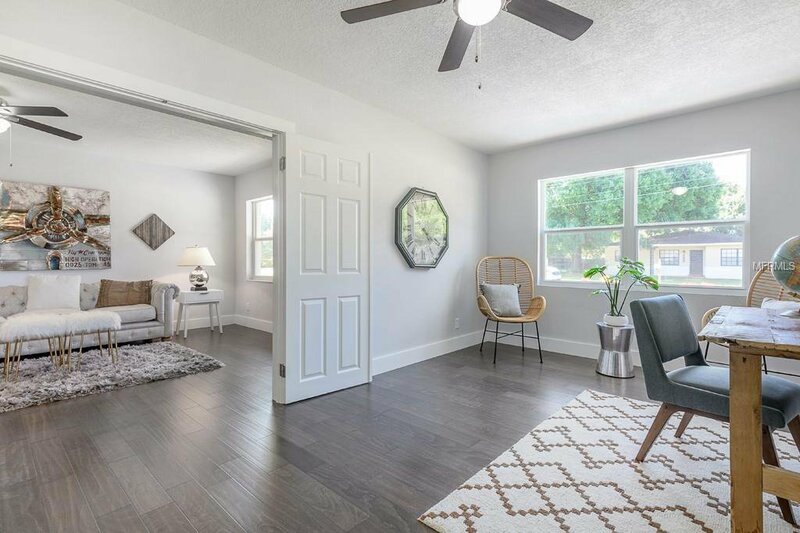 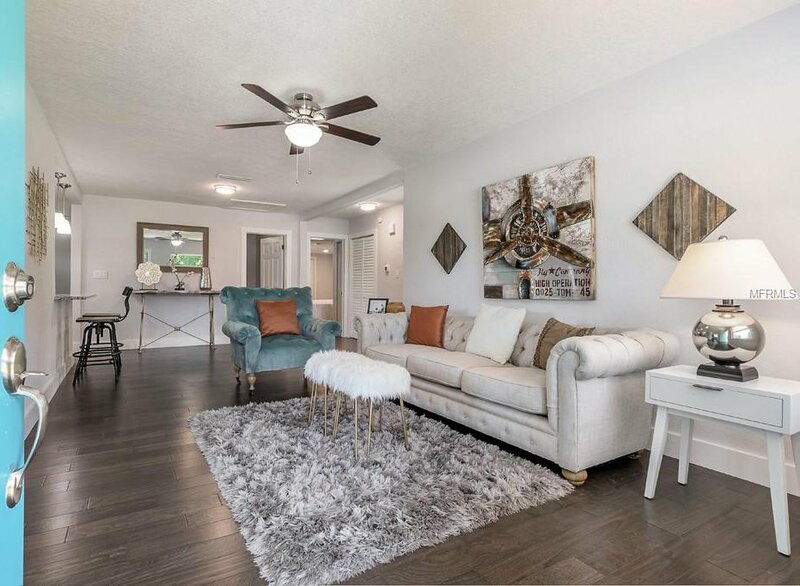 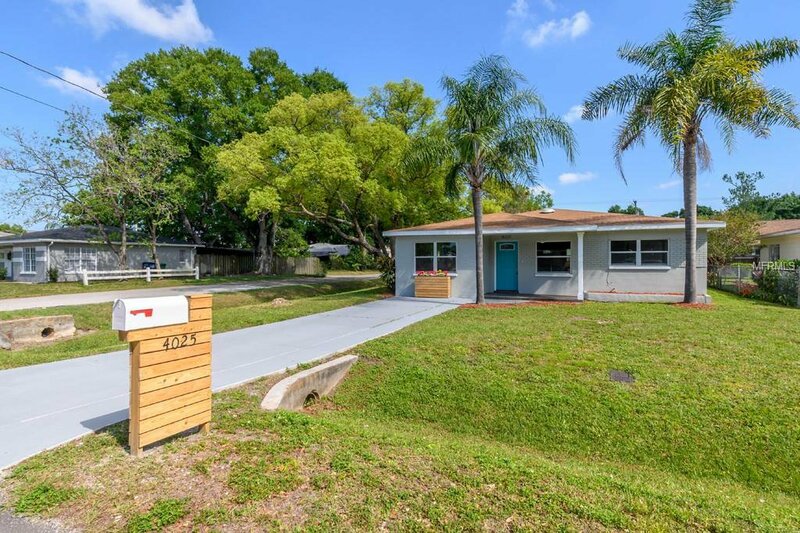 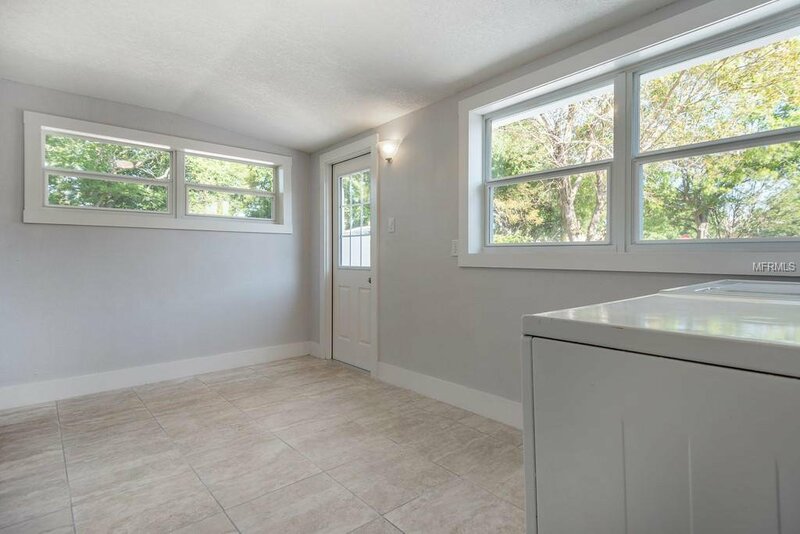 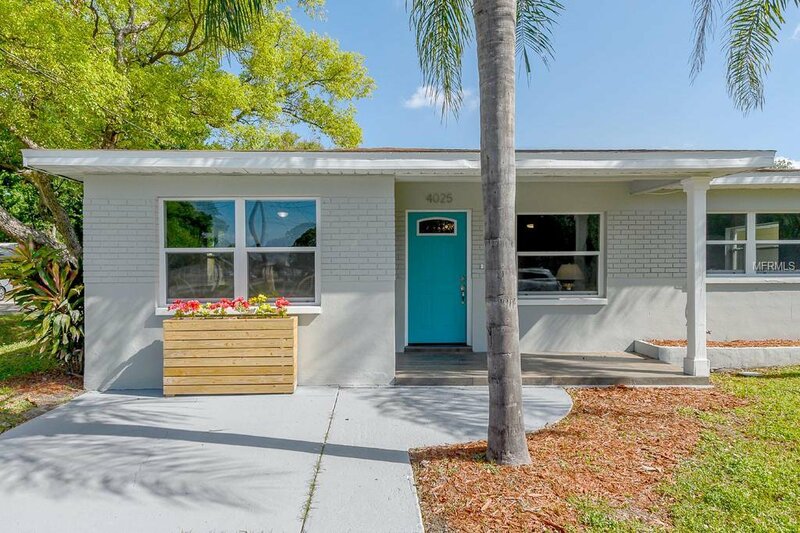 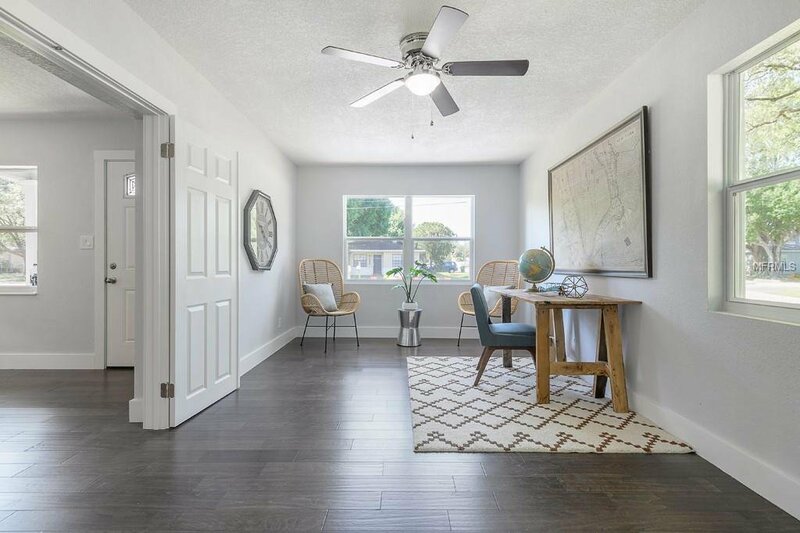 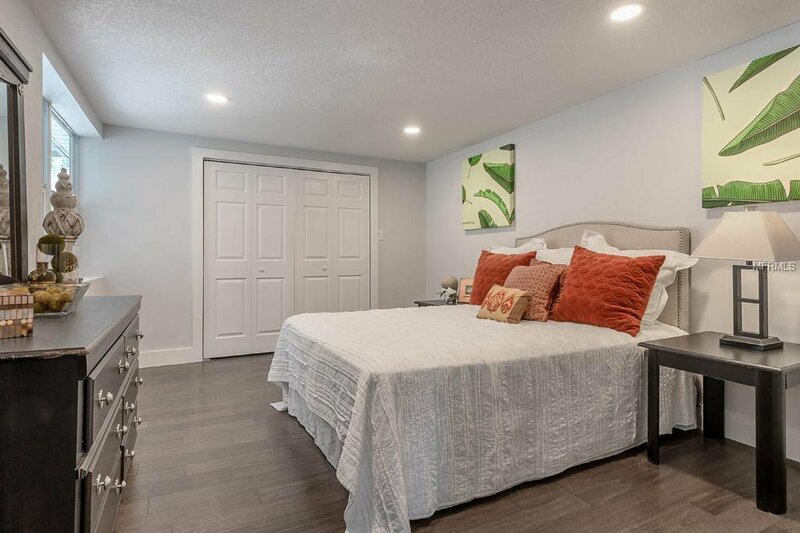 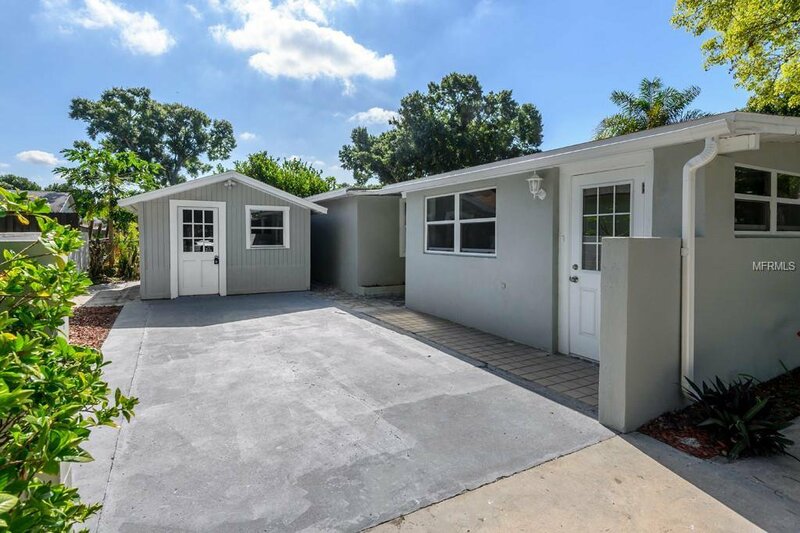 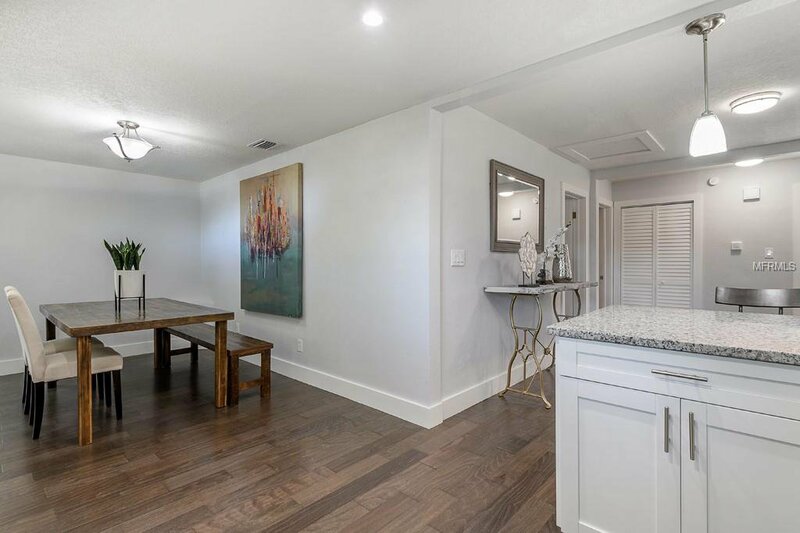 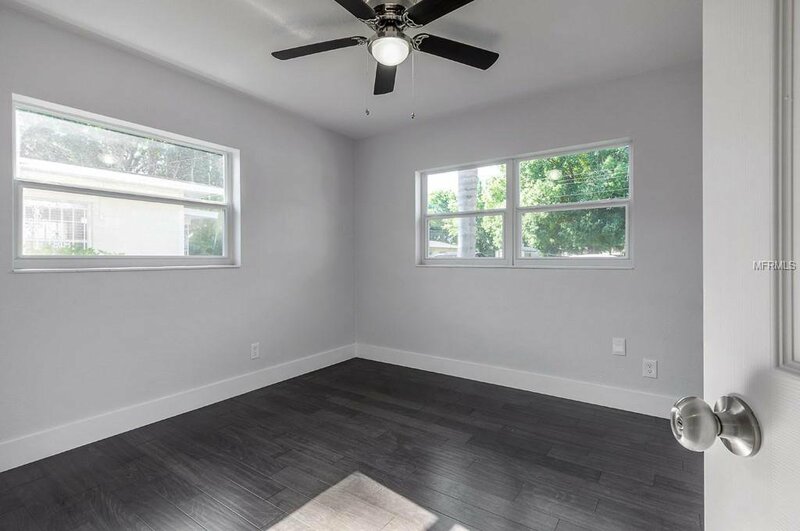 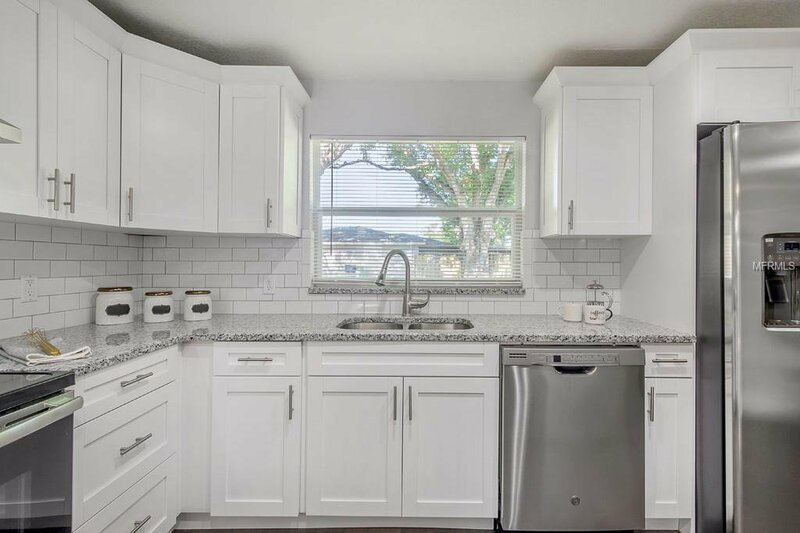 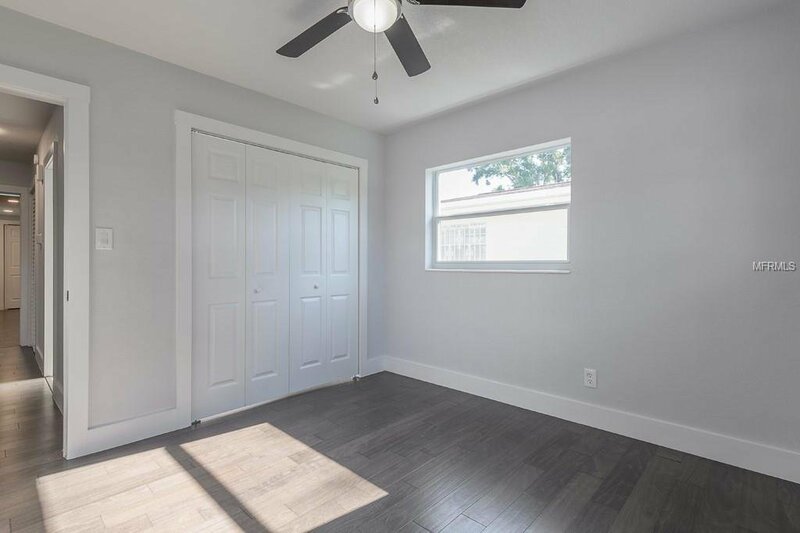 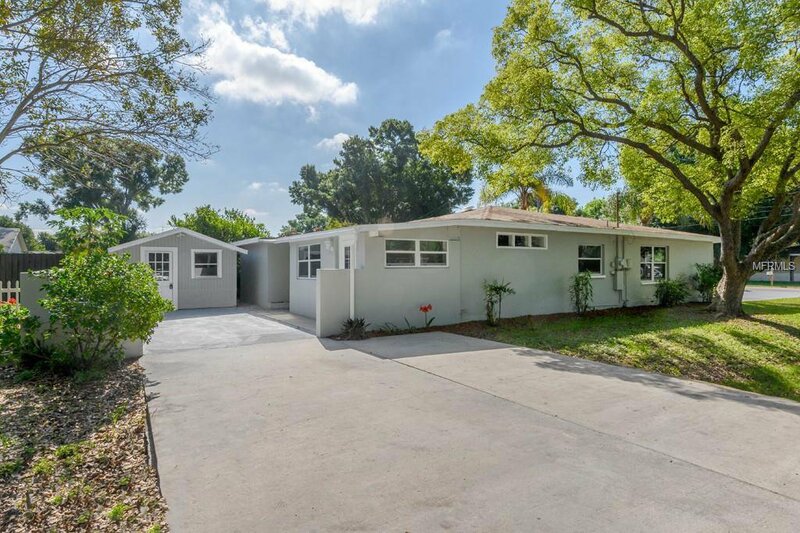 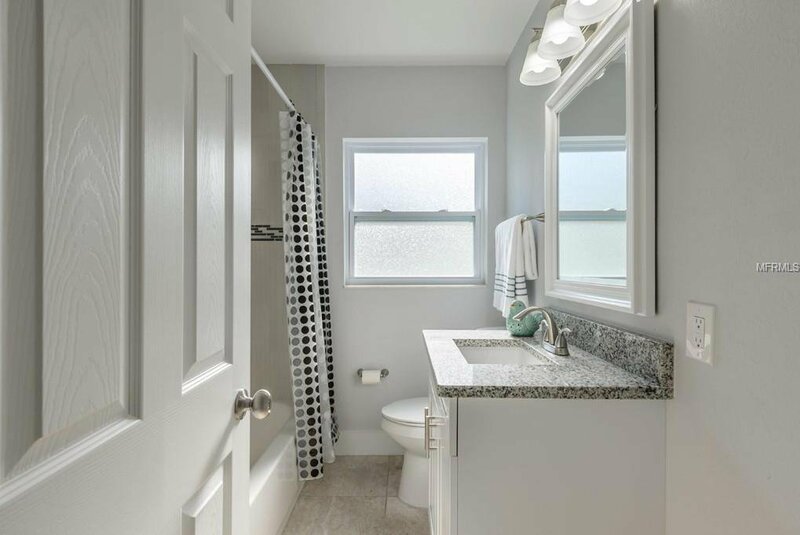 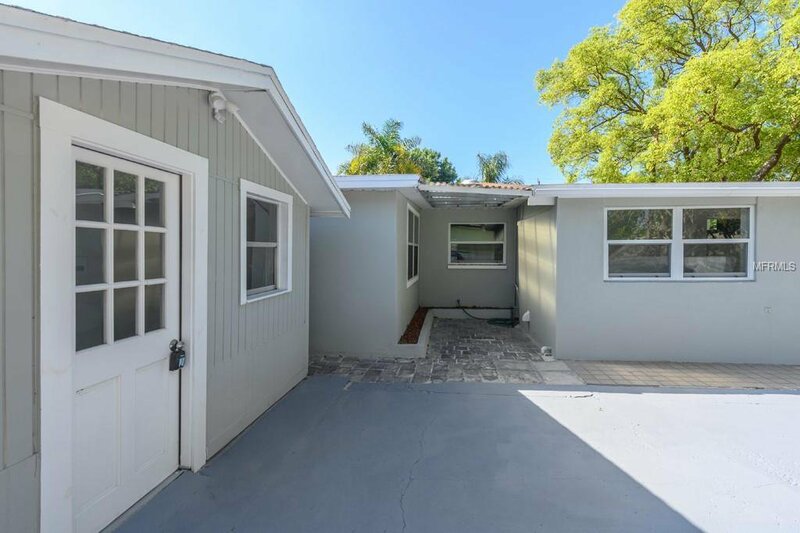 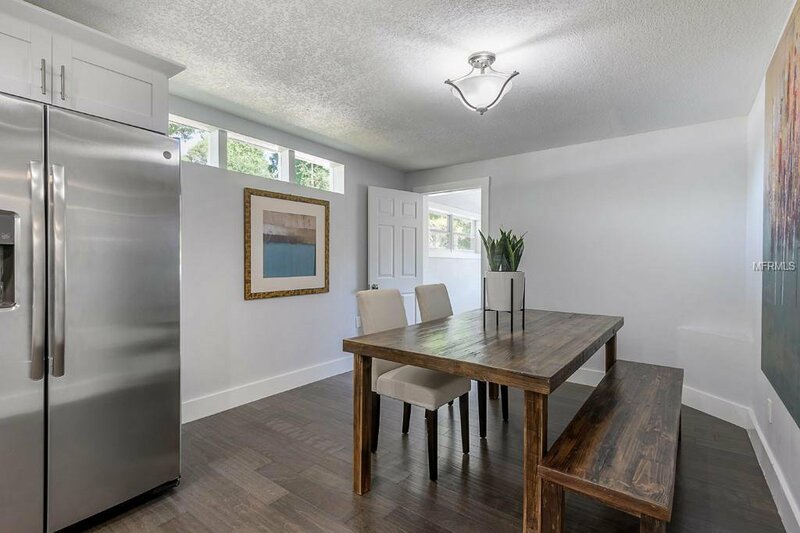 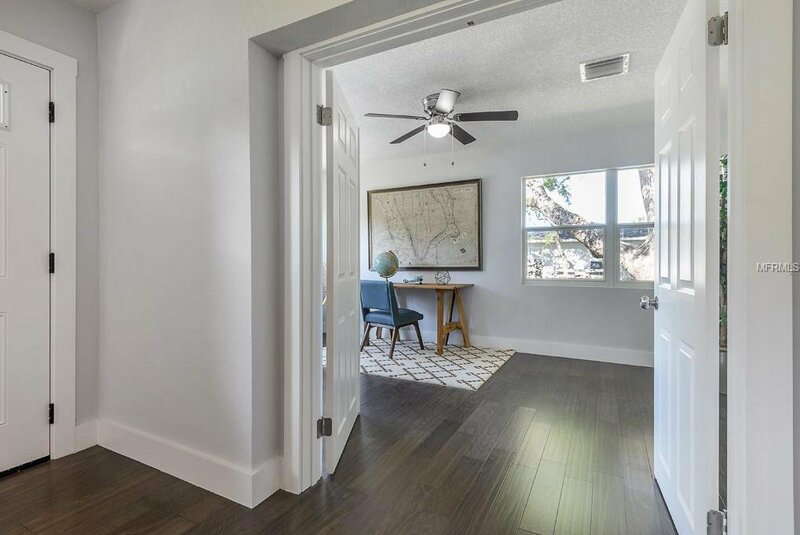 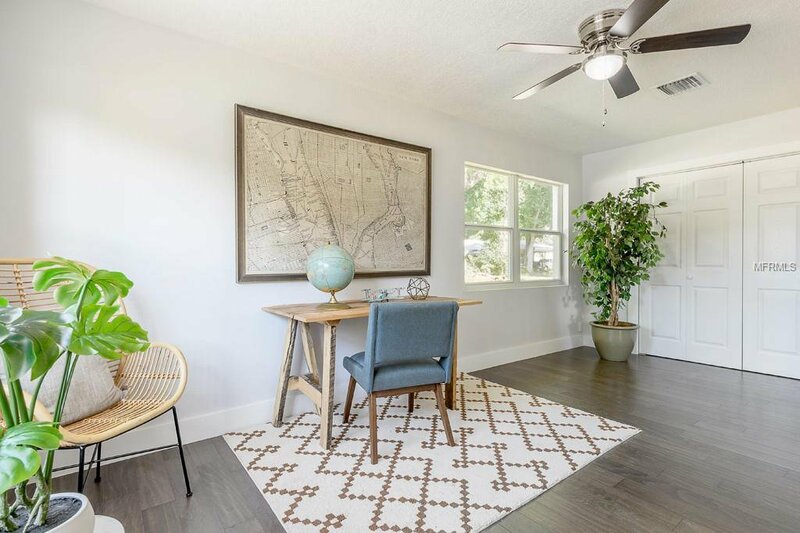 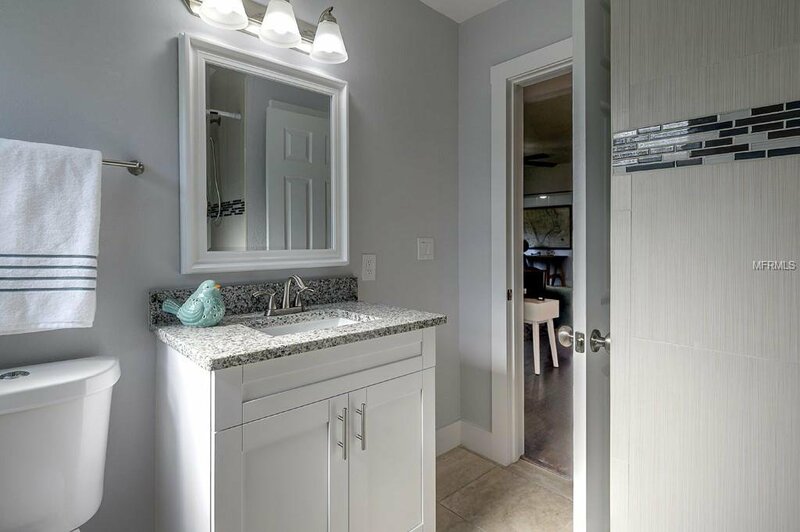 With 4 bedrooms & 2 bathrooms, this beauty has been renovated and features attention-to-detail with engineered hardwood floors, new light fixtures, new windows, completely remodeled bathrooms and freshly painted inside and out. 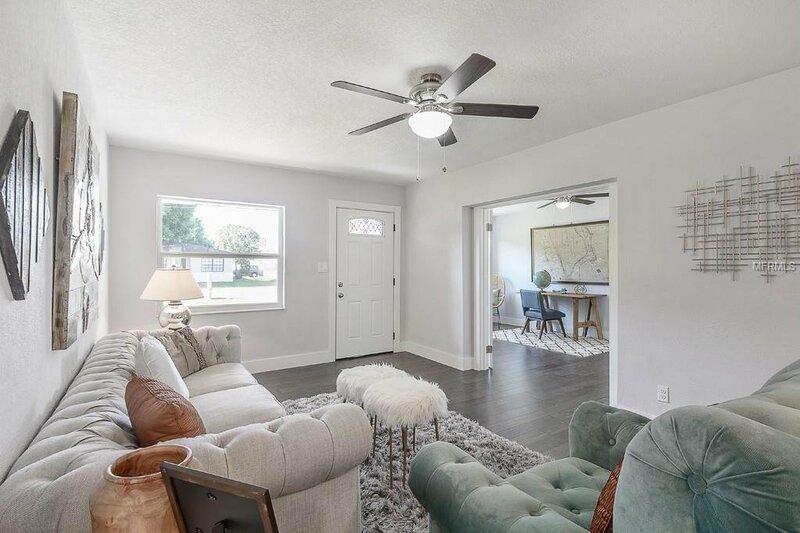 An inviting family room with natural light overlooks the spacious front yard and opens to the completely remodeled kitchen. 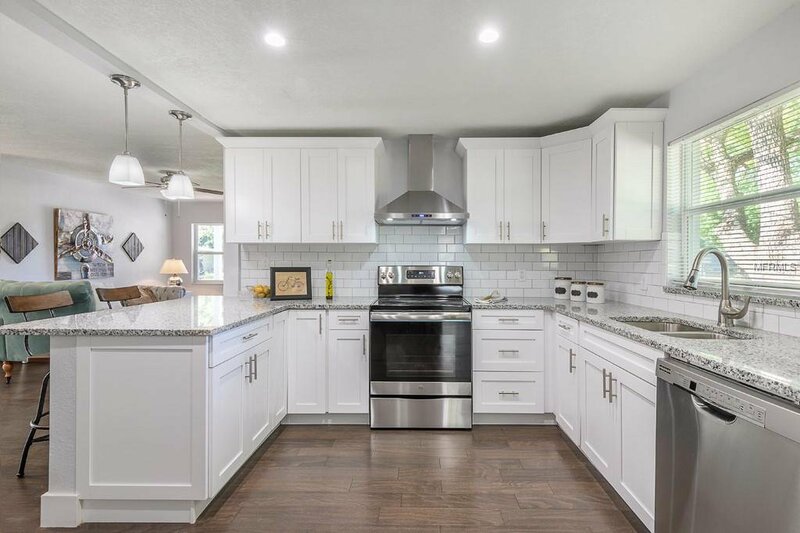 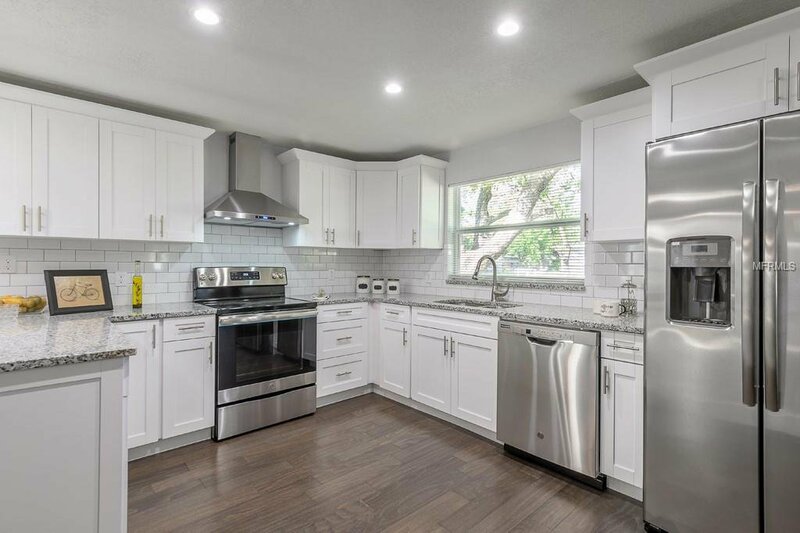 This kitchen features wood cabinets, granite countertops, subway tile backsplash, stainless steel appliances, breakfast bar and is open to the large dining room, great for family gatherings and entertaining. 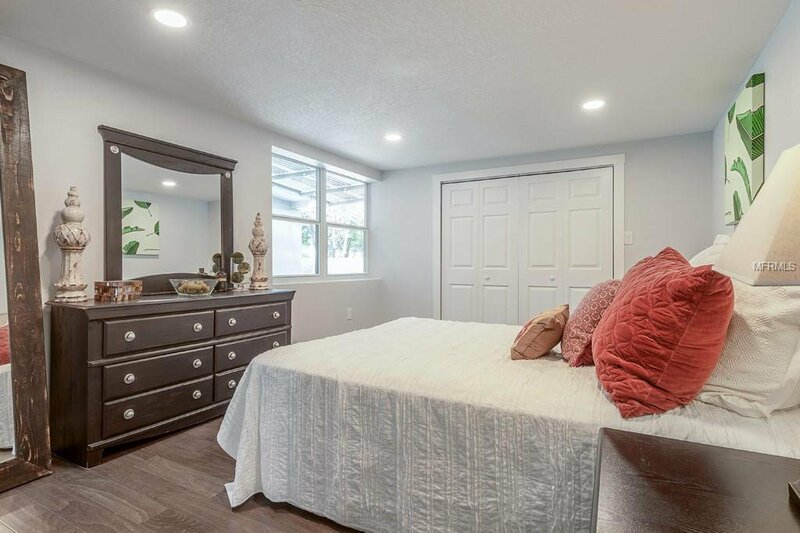 The large master suite is spacious with natural light from the window and a skylight. 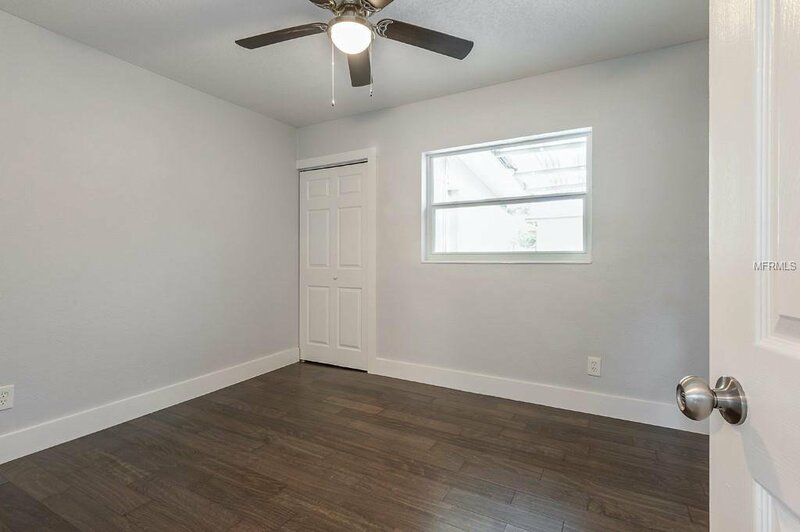 The second bedroom is 18 x 10 with French doors off the living room and could be used as an office/study/bonus room. 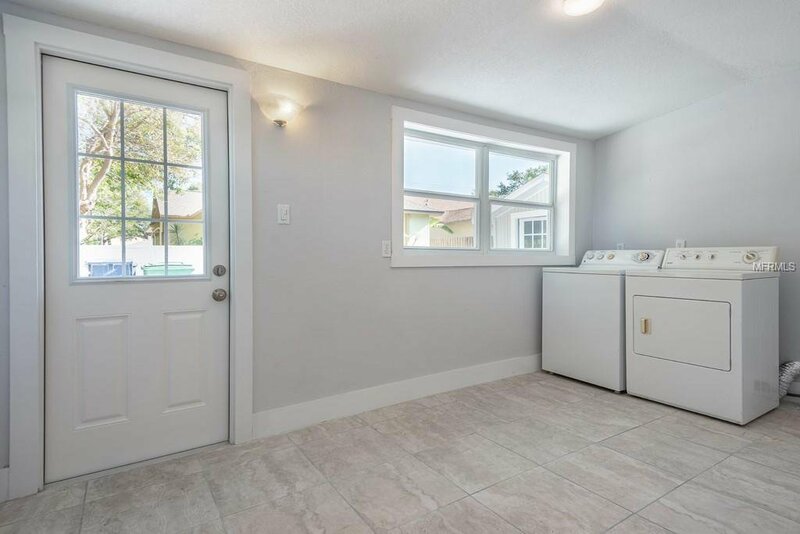 The oversize laundry room includes the washer and dryer with a door leading to the backyard. 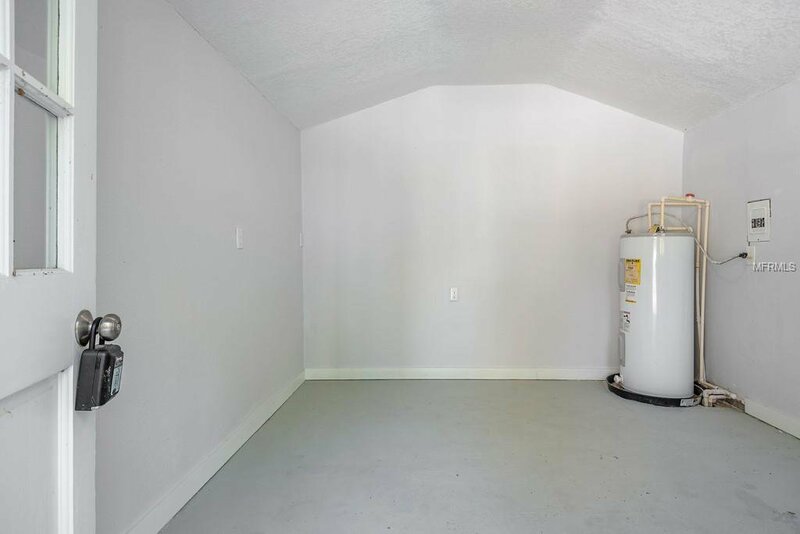 The detached building could be used for storage or whatever creative use you can dream up. 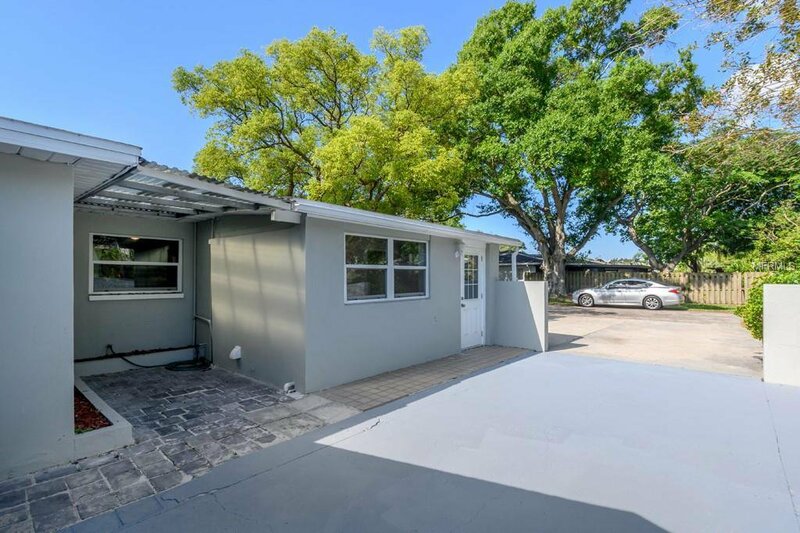 There is room for parking 4 cars on the 2 concrete driveways on this corner lot property. 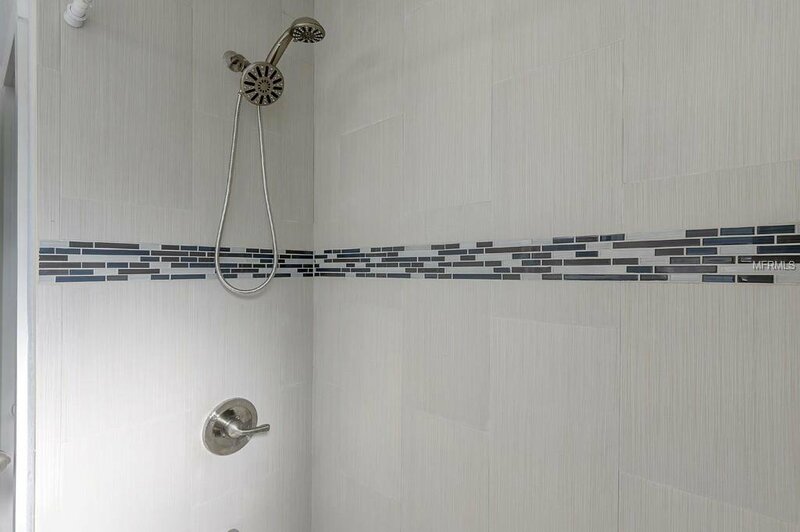 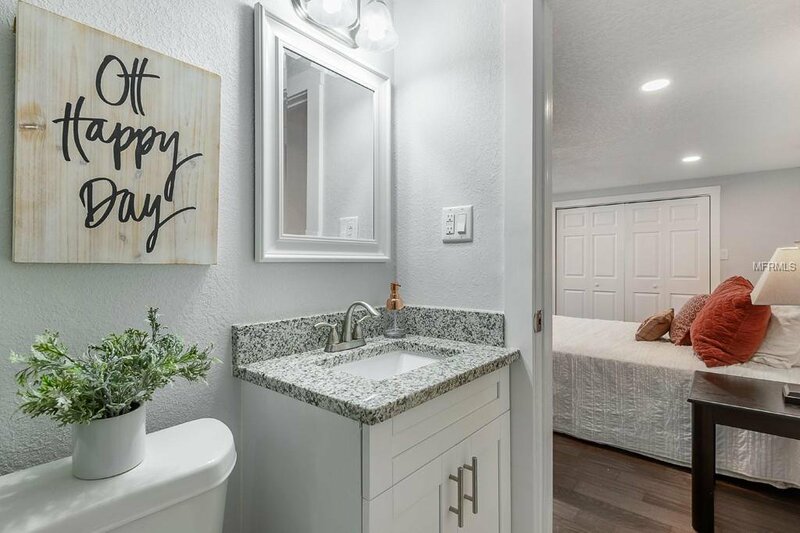 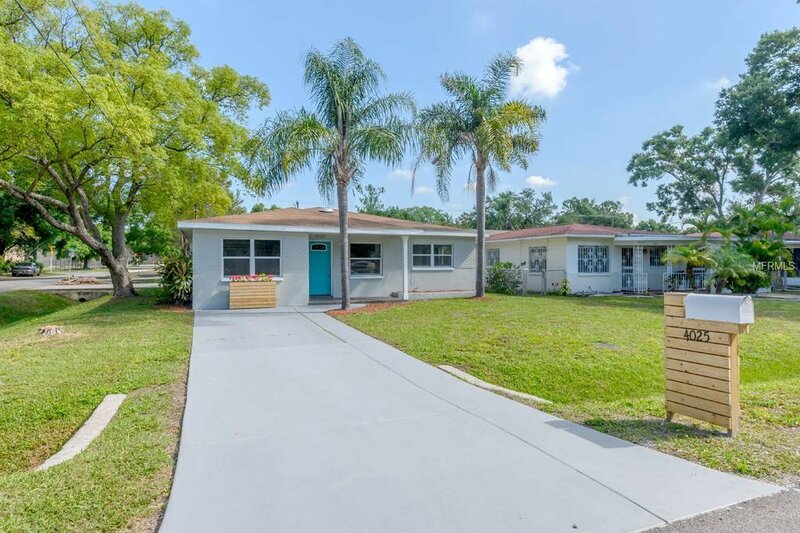 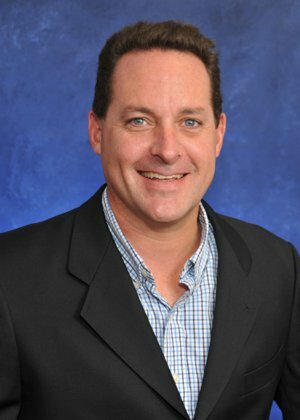 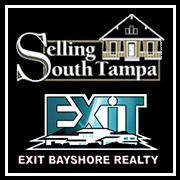 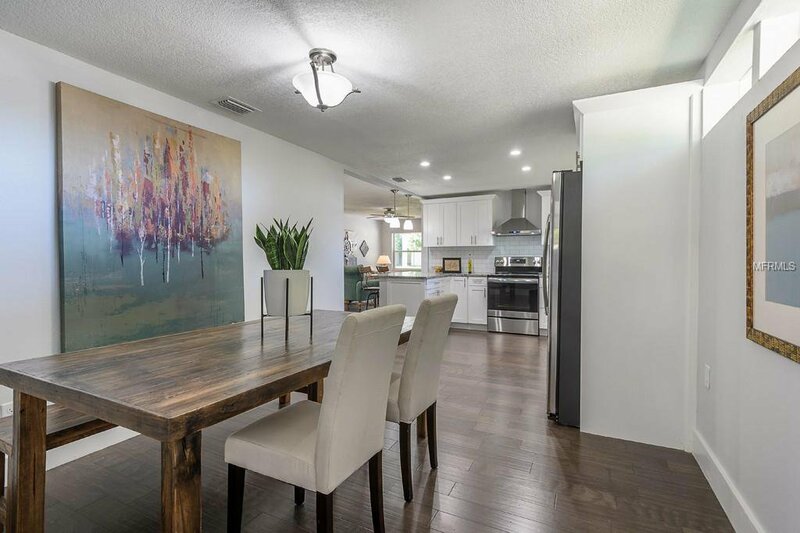 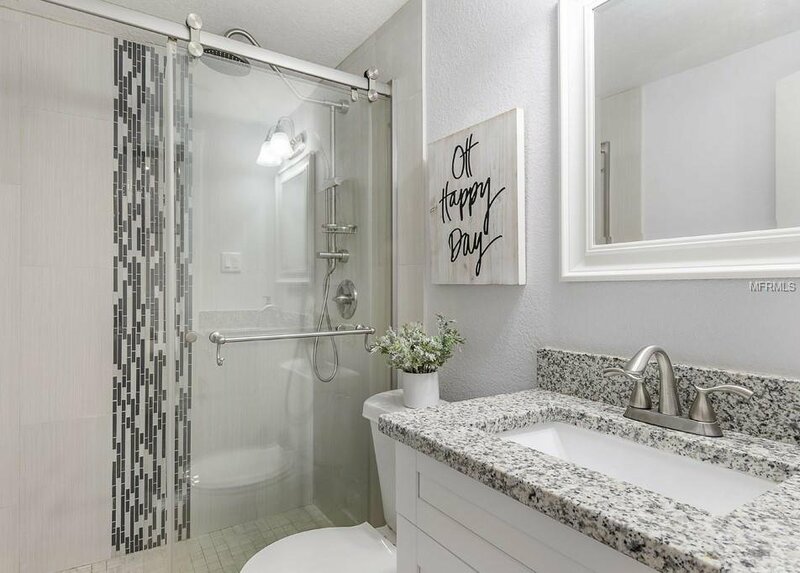 Just minutes to Tampa International Airport, professional sporting venues, 10 minutes to downtown Tampa, the performing arts and surrounded by many great restaurants and shopping in South Tampa.